Preoperative period – Some exams are previously requested. The use of medications containing salicylic acid or vitamin E should be avoided 10 days before surgery. Smokers should quit smoking 15 days before surgery. It is necessary to stop any oral intake (not even water) 6 hours before surgery. The surgeon will take a thorough medical history. He or she will review any medications that you are taking, whether you have any allergies or have had any prior surgeries or pregnancies. The surgeon will also perform a physical exam to measure the extent of excess fat and the degree of loose skin in your abdominal region. He or she will also assess the condition of your abdominal muscles and skin tone while you are standing up and lying down. The surgeon will likely take some “before” photos during this consultation process. Your expectations regarding the tummy tuck will also be discussed during this visit. 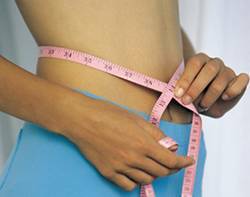 Are you a candidate for a tummy tuck? Once you have decided to undergo a tummy tuck, chosen a surgeon and scheduled your procedure, your doctor will give you a list of pre-operative instructions. This will likely include some lab testing such as routine blood work and a cardiac work-up if there is any history of heart disease. In the two weeks leading up to your tummy tuck, your plastic surgeon will likely ask you to stop taking certain medications including aspirin, non-steroidal anti-inflammatory drugs (NSAID) and blood thinners, all of which can increase bleeding risk. Certain herbal remedies may also increase bleeding risk. Just because a product or preparation is “all-natural” does not mean it is safe. For example, vitamin E, omega-3 fatty acids, green tea and gingko biloba all may increase bleeding risk during and after tummy tuck surgery. Make sure you tell your surgeon about EVERYTHING that you are taking. But never stop taking any medication abruptly without first speaking to your doctor. Postoperative period - For the first few days, your abdomen will probably be swollen and you’re likely to feel some pain and discomfort which can be controlled by medication. Depending on the extent of the surgery, you may be released within a few hours or you may have to remain hospitalized for two to three days. After the operation you will need to wear a special abdominal garment for three-six weeks. Surface stitches are taken out in two weeks’ time after the surgery, but the full recovery may take up to two or six months, with further fading of scars thereafter.The dressing on your incision may be replaced by a support garment. Heavy activity is advised to be avoided for some time. Since the incisions during the operation are done under the bikini line, thus for outsiders the scar will remain invisible, only the flat and firm stomach will be seen. We will give you instructions for showering and changing your dressings. And though you may not be able to stand straight at first, you should start walking as soon as possible. If you’re realistic in your expectations and prepared for the consequences of a permanent scar and a lengthy recovery period, abdominoplasty may be just the answer for you. This entry was posted on Tuesday, June 27th, 2006 at 5:37 am and is filed under Abdomen & Trunk. You can follow any responses to this entry through the RSS 2.0 feed. You can leave a response, or trackback from your own site. Recovery - Plastic surgeons provide a complete list of pre and post operative instructions in order to reduce the risk of complications and allow for a more comfortable recovery. Tummy tuck patients can usually return to work and participate in most normal activities within three weeks of surgery. Yet, there may be restrictions on activities or the use of recovery aids for some of time. Most of our patients are quite pleased with the outcome of the procedure.